So what’s Carter and Season 10 up to? A number of interviews with the creative team behind XF and Season 10 have popped up lately, and they have been very revealing on how Season 10 came to be and where it is headed: Joe Harris at Things From Another World; Chris Carter at MTV; Chris Carter, Joe Harris and Denton J. Tipton (IDW editor) at Nerdy Show. Chris Carter is finishing post-production of the pilot of his next series, “The After” (extensive coverage here). It will ‘air’ online at Amazon Prime in February 2014, before a decision is made to order a full series or not. Below: a photo from the shooting (from Back To Frank Black). And in parallel he’s developing the story for another show for AMC (extensive coverage here). Then there’s the super-secret AMC project he’s working on. “I wrote a script that I got a good response to,” Carter said. “Right now it’s still in the development stage.” Regarding the subject matter, Carter only conceded that it has something to do with conspiracies. Seems like he’s heading back into familiar territory. 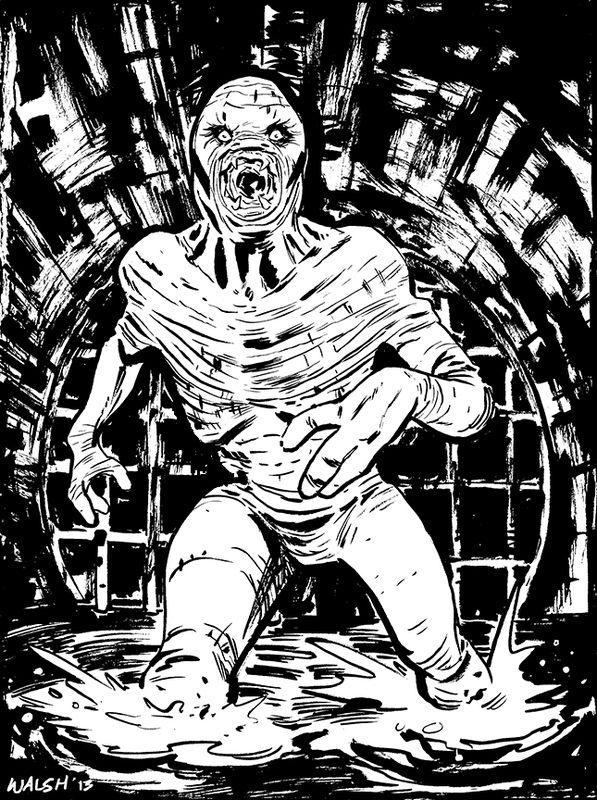 Below, a Flukeman commission by Michael Walsh… who didn’t do the art for #6-7! It appears IDW first got the idea for the comics with the 20th anniversary of the series and approached FOX. Joe Harris was hired to write up ideas. Eventually Carter got involved, and steered Harris away from certain plot points, and gave Harris certain feedback for what became the first story arc, “Believers“. After that, Harris sends Carter drafts for review but by the sound of it Carter has little to say and lately hasn’t even had time to go through them (he seemed unaware or forgot that monster-of-the-week type issues were upcoming!). Whatever Carter prevented Harris to cover in “Believers” is something that Carter hopes to use in a potential third XF movie, and this territory is off limits for Harris for the foreseeable future (incidentally meaning that Harris is aware of certain story elements of that XF3!). And this is how Season 10 is evolving, Carter being ‘executive producer’ but essentially giving Harris free rein to do whatever he wants apart from dealing with certain specifics — we suspect resolving the William issue, or actually making colonization happen. And if, if XF3 happens, Harris hopes that they will manage to have the comics storylines nicely fit into and lead to the movie. Which is nice for coherence’s sake, but also means that Season 10 is, in some ways, bonus adventures/side distractions/stand-alone material, before the grand finale that is as yet unrevealed. Enjoyable, but somewhat frustrating! 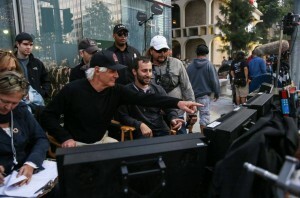 It’s totally in continuity with the blessing of series creator Chris Carter. He has overseen everything I brought — he’s even offered some tweaks to make it better and preserve some things he wanted to preserve; mysteries he might want to tackle later at some date. 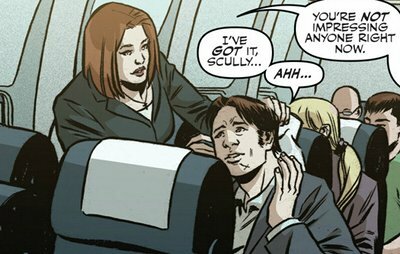 It’s totally in-continuity, they are the present-day adventures of Mulder and Scully. It draws on everything we know, it continues the mythology while — I’d like to think — adding something new, so it’s not completely retro. Bonus: another short video of Joe Harris on #5 and #6. Michael Walsh, who did the art for issues #1-5 and #8, will not be returning for more — for reasons unknown (perhaps the lukewarm reception his art got, arguably, although he has been engaged to another series, and he said in an audio interview for Comicbook Noise that he might return occasionally, but not as the main artist. 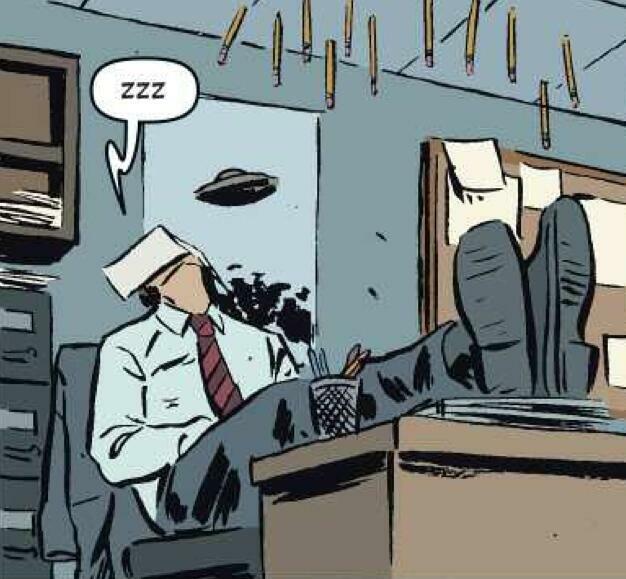 Issues #6-7, #9 and #10 have some guests artists with Elena Casagrande, Greg Scott and menton3, however it appears that none of them will be the regular Season 10 artist: that one will be revealed with issue #11! Jordie Bellaire, who worked with Walsh, will be returning for colors. There are changes on the covers side as well, with Carlos Valenzuela leaving after issue #9 and Francesco Francavilla arriving with #10. Comics Alliance has an interview with him. Issues #8, #9 and #10 — and beyond! February 2014: Issue #9 is a single-issue arc. Writer Joe Harris: “It’s my first, original “Monster of the Month” (a term I’m taking sole credit for) story and it’s utterly disgusting, I’m sorry.” Exciting — although I’m worried 22 pages might not be enough! Ask your retailer about the menton3 variant cover! 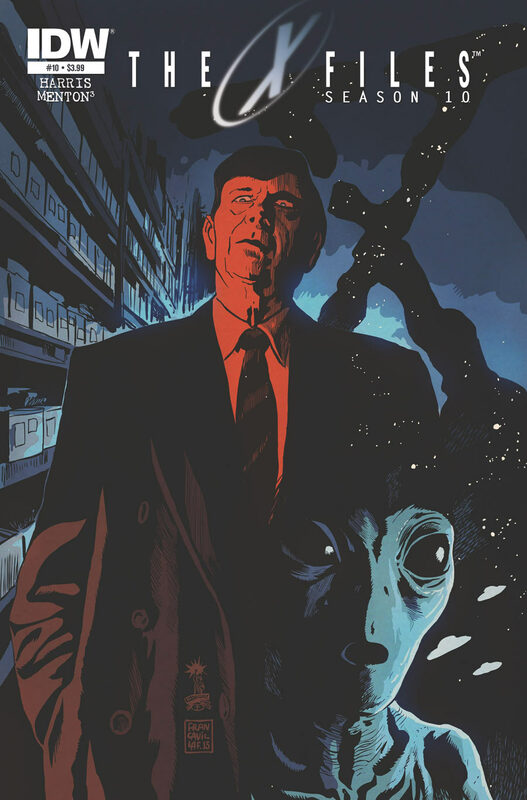 Issue #10 is a quasi-sequel to one of my favorite X-Files episodes, Season Four’s “Musings of a Cigarette Smoking Man,” which presented a potential, speculative history of everyone’s favorite nicotine addict and X-Files foil. 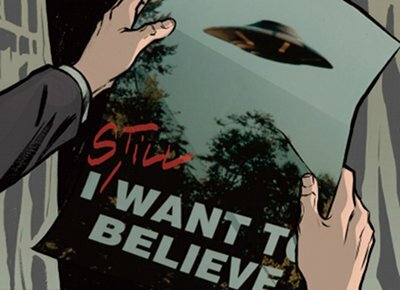 Keeping in that tradition, we’re going to fill in some more blanks — some of which line up with what we know of X-Files and “Mytharc” continuity, and others that just won’t make much sense when you lay them over times, dates, events and relationships we already know — while attempting to tell a story that both serves as a love letter to that classic Glen Morgan-penned and James Wong-directed episode, as well as a springboard toward our next big “Mytharc” storyline kicking off in issue #11. On the surface, this will appear to be a throwback story… but if you read between the lines, or panels (and if we do our jobs correctly! ), you’ll learn a few things about our current, “Season 10″ rendition of the Cigarette Smoking Man, get some hints as to the nature of his unexplained resurrection following his demise at the end of the show’s final season, as well as learn a bit more about what amounts to a neo-Syndicate that’s popping up to make Agents Mulder and Scully’s lives difficult all over again. Menton3 is joining us on interiors this time around (while providing another ‘Retailer Incentive’ cover), and this issue also marks the debut of the the amazingly talented Francesco Francavilla as series cover artist! • Ask your retailer about the menton3 variant cover! • Special standalone story featuring the “Cigarette Smoking Man”! • Eisner-winning cover artist Francesco Francavilla begins his run as the regular cover artist! Could that be a flashback featuring X? As a fan, is there a scene you’re just dying to write? Oh hell yes. As I’m always scanning through old episodes, I make note of little hooks and references that might later work their way into a Season 10 story and cement us a little more within the mythology. These flashbacks do sound like something we could see in #8. 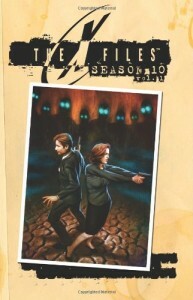 The X-Files Season 10 Volume 1 was released on December 18 2013. It is a hardcover collecting the first five issues of the seriess, i.e. the “Believers” arc. This is the version that will be circulated widely, be translated — usually comic publishers go with collecting 6 issues in trade paperbacks, but IDW sees big with XF! IDW seems to be continuing the trend of collecting 5 issues, as Volume 2 has been announced for April. This also has an impact on the way stories are written and over how many issues they are spread over: Volume 2 should have “Hosts“, “For the Benefit of Mr. X“, “Chitter” and “More Musings of a Cigarette-Smoking Man“, and Harris has said that the next big mythology arc should be spread over issues #11-15 (i.e. Volume 3!). Joe Harris is continuing to sell his XF scripts! 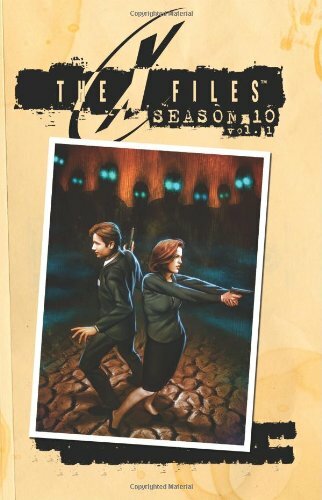 Alongside Season 10, IDW is continuing the X-Files: Conspiracy series, which is the cross-over of the Lone Gunmen with other big franchises (announced here). Two issues are released per month, with awesome covers by Miran Kim and others. Now that they have Miran Kim back on XF, as she used to do the covers for the Topps comics in the 1990s, why don’t they have her do some interior art as well? There is also an interview by Conspiracy writer Paul Crilley at Comic Book Resources. The X-Files meets the Teenage Mutant Ninja Turtles! 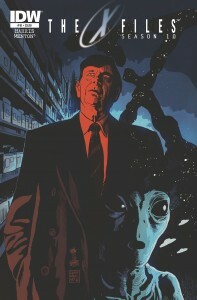 Art by The X-Files: Season 10 artist Michael Walsh! “Tabloid Newspaper” Variant Cover by Joe Corroney! Written by Conspiracy architect Paul Crilley! 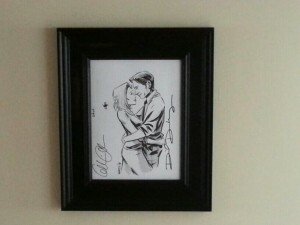 Art by Transformers: Fall of Cybertron artist Dheeraj Verma! • The event of the year sees characters from The X-Files interact with the Ghostbusters, Transformers, Teenage Mutant Ninja Turtles, and The Crow! • Ask your retailer about the Joe Corroney “tabloid” variant covers for each issue of the event! • Each issue has a special subscription variant that depicts famous conspiracies with a new twist! • Art by Vic Malhotra (Joe Hill’s Thumbprint)! 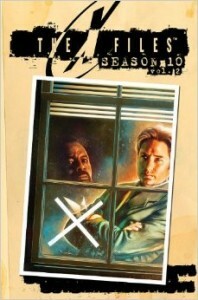 As for April, as revealed in the Nerdy Show podcast, we are to expect an Annual for the X-Files, a once-a-year event, graphic novel-style stand-alone story, that will be scripted by none other than Frank Spotnitz (XF’s Number 2) and Gabe Rotter (Carter’s assistant and now producer on Carter’s next show The After)! This is some news, more and more 1013 alumni are joining IDW’s effort! Back in 2008-2009 around the release of I Want To Believe, Spotnitz had contributed in writing 3 issues of XF comics for the 7-issue run of the XF comics for Wildstorm. Many times over, Spotnitz had hinted on his official site that there were more comics coming, but that never materialized. 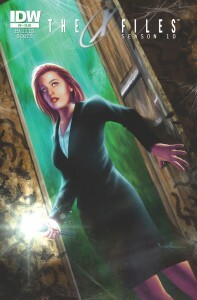 Specifically, it had been announced in July 2009 that “Frank is at work on another original “X-Files” comic book to be co-written by Gabe Rotter, director of development at Ten Thirteen Productions and author of the novel, “Duck Duck Wally.” Look for the book to hit the stands early next year. 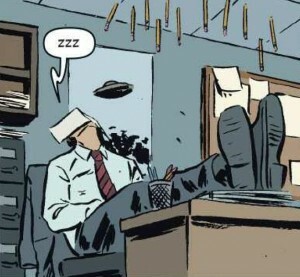 ” So I am guessing that this 2009 story idea is what will make its way to this IDW Annual. Bonus: after the Flukeman, requests for more sequels!